Our courses are commonly used to help prepare healthcare professionals for accredited wound certification. The wound care courses we offer can also be used to help you gain professional experience. Often, our students will use their wound care course completion certificate to leverage more wound-related experience. After completing our online wound course, you can show your course completion certificate to your supervisor. Completion of our course will show your supervisor that you have advanced wound care knowledge. Course completion also shows your supervisor and peers that you have taken the personal initiative to create a specialty for yourself. More importantly, wound care course completion can help you get placed in wound-related roles more easily. Are you are unable to get more wound management placements with your current provider? Think about adding your course completion to your resume and pursuing other opportunities. Showing your knowledge through course mastery can help you secure another job with more wound-related responsibilities. Getting more clinical experience can lead to an increase in compensation. It also increases your eligibility to become fully certified in wound care. More advanced wound care certifications require three years of wound care experience to become fully certified. The CWS Certified Wound Specialist , CWCA Certified Wound Care Associate, and the CWSP Certified Wound Specialist Physician all require three years or more of wound care experience. Many healthcare professionals fear that they do not have enough experience to pursue these wound care certifications. However, wound care experience does not have to be sequential. The minimum requirement is based on total career experience. Wound care does not have to be your primary responsibility, as long as you can demonstrate you have had roles related to wound care throughout your career. If you do not currently have the required wound management experience, you can use our wound care certification courses as a starting point for your certification journey. Our wound care courses will teach you advanced wound care practices, application of wound dressings, and evidence-based wound management solutions. If you cannot get more experience with your current employer to gain more wound care management experience, you can use the ABWM database to find a certified professional in your area that you can shadow. Shadowing an already certified wound care specialist can get you the necessary experience to qualify for full certification. One competitive advantage you have with WoundEducators is free re-enrollment. We are confident that our wound care courses can help you pass your wound care certification exam. If you are one of the healthcare professionals that does not currently have three years of wound care experience, you can qualify for free re-enrollment when you do. We offer you re-access to your completed course in order to prepare for your wound care certification exam. 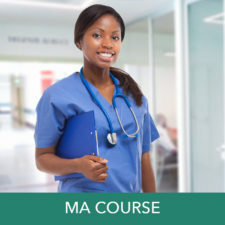 If a significant amount of time has passed since you completed your course, this re-access will allow you to brush up on wound care knowledge previously learned. Our wound care courses come with a standard six-month enrollment. You can study at your own pace within that six-month timeframe. In order to get free re-enrollment, you must have already passed your online WoundEducators course. If you choose to become certified within three years of taking our course, use your free re-enrollment to help prepare for your official wound certification exam. We also offer purchasable course extensions if you need more than six months to complete your course. Simply contact us to begin your free re-enrollment or to purchase a course extension. WoundEducators courses also provide up to 60 CE hours – allowing you to gain necessary wound care knowledge and work towards your professional requirement at the same time. If you want to learn more about wound care or are thinking about becoming wound care certified, start your journey with WoundEducators. Our online wound care certification courses give you evidence-based wound care knowledge and can help place you in more wound-related roles with your current employer. 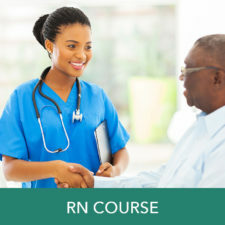 Our online courses can also help you leverage other wound care jobs or provide you with enough knowledge to shadow a currently certified professional in your area. With our free re-enrollment benefit, you can complete your course now and pursue wound care certification later if you still need clinical experience. For more information and to register, please visit our wound care course page. Do you have to be a an LPN or RN to become a CWS? I’m an RN who wants to become a wound care nurse. How do I get started? Winifred, start with our RN wound care certification prep course. You can use this to gain more wound care knowledge until you have the required experience to become full certified. What if your not an R.N and allready have 3 years of wound care experience thru hands on hha cna hospice can you just take the test? 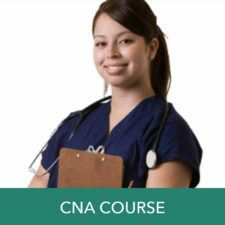 Betty, we recommend taking our CNA course to help you prepare for the exam. You can submit your application to take the CWCA exam to the ABWM. I’m an LVN, pursuing BSN. Should I wait? What happens if Zika do the LVN then become a BSN? 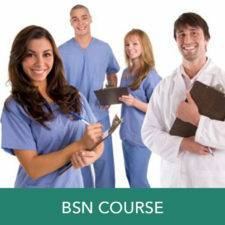 What is involved in getting the BSN certification, if I have the LVN? Brenda, if you are specifically talking about wound care certification, you can take our BSN course at any time, even before you fully become a BSN. To get your certification, I would suggest waiting until you are a BSN so you can pursue the CWS rather than the CWCA.